Transform your land into a refuge for local wildlife. Habitat loss is the greatest threat to the survival of wildlife in the US. But you can make a difference on your own property! Bring specific questions about animals, plants and your property. Receive guides and other useful handouts. Create a beautiful haven for all kinds of local wildlife! 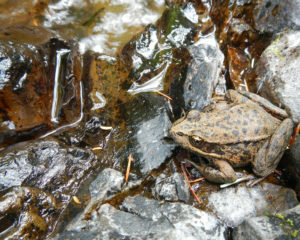 A red-legged frog sits in a stream. 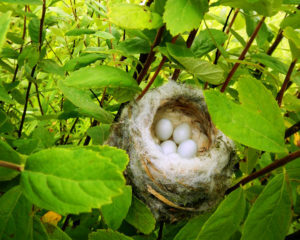 A bird nest with several eggs tucked away in foliage. 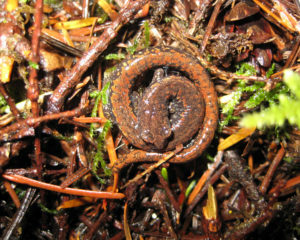 An Oregon Slender Salamander curled up and camouflaged among some twigs and plant material.